ORLANDO, FLORIDA – Criticism is an inevitable part of doing business, but in a time when more and more people search online when deciding what products to buy and which companies to hire, bad press can significantly affect the success of the company, whether the criticism is warranted or not. That is why online reputation management tools, also known as reverse SEO, can be a lifesaver. Reverse SEO uses black-hat techniques instead of white-hat techniques. Organic SEO tactics are the best way to prevent negative, undesirable links or bad press about your business from getting top ranking on Google search results. “We use reverse SEO for businesses that have received unflattering or unfair press in newspapers, blogs or review sites to mitigate the damage and diminish the visibility of the links as quickly as possible,” said Ali Husayni, our CEO. Sometimes the undesirable content is a messy lawsuit, a disgruntled ex-employee or angry client who either wrote and submitted an article or created a website solely to defame a company. Anyone with determination and some online know-how can create content that reflects poorly on a company that begins to rank well for searches related to the business. While completely removing the content from the Web is usually impossible, it can be pushed onto the second, third and fourth pages of search results where they will garner much less attention. “What we do is analyze the sites that own the negative content about the business then formulate the best strategy to limit that content’s visibility,” said Husayni. If you have direct control over the content, such as personal photos or writings that reflect poorly on the business, delete the negative information or change privacy settings of the site it came from. This does not automatically remove the offending item from the search engine’s index – there’s always a chance that it was picked up elsewhere – but it will make that content much harder to find. Monitor consumer review sites like BBB (Better Business Bureau), Yelp, Google+ Local and Angie’s List and address complaints promptly. Search Engine Land reported that 72 percent of consumers trust online reviews as much as personal recommendations, so consider reaching out directly to the customer to resolve the complaint and ask if you can do anything to switch their sentiment to positive. If the problem is resolved to their satisfaction, ask them to consider updating their review. Keep tabs on the business by regularly checking what is being said about the company. Set up Google Alerts for relevant keywords to find out right away when new content hits the Web. Google sends you an email whenever it finds new results that match your search term, including websites, newspaper articles and blogs. Use the Me on the Web feature on Google Dashboard to help monitor what information is out there about an individual or business. Counteract the bad content with a consistent flow of positive information about the company. Create a Google+ profile. From your profile, you can link to helpful videos, original photos, blog posts with relevant content, or even ask customers for testimonials. Google+ information is indexed and will show up in organic search engine results, so this is an important and effective tool to getting more positive recognition. Learn more. An essential part of any SEO campaign – regular or reverse – is having a blog that is updated at least several times a month with high-quality, relevant content. Search engines love original, fresh content. If your business does not already have one, starting a blog can go a long way toward pushing the bad content out of the top search engine results. This also gives you a centralized location to embed videos and photos that highlight your company. Do some short videos, informative ones or testimonials from satisfied customers, and post them on the company’s YouTube channel. This gives the opportunity to use keywords in the video title and description and a backlink to your website. You can also have your videos pull double duty by doing a blog post announcing the new video. Search the name of your company along with “review” or “scam”. For example “my company reviews” or “my company scam” to see what comes up. Excellent post. Online reputation management is a technique every SEO and small business owner should be discussing during meetings. In the case of restaurants, sometimes guests just don\’t have a pleasurable experience. It happens. The goal of the SEO and business owner is to make sure the brand is not tarnished by 1 or 2 bad experiences. Online reputation management has become one of the hot topics for entrepreneurs and marketers because it gives trustworthyness among the audience and customers or clients. 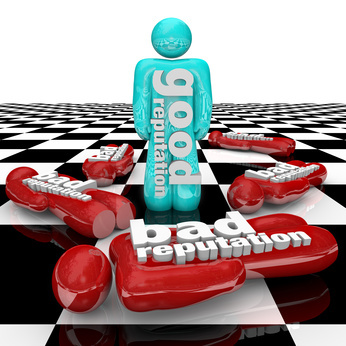 Online reputation management is meant to enhance the reputation of any product by talking about the positive point about that product. You need to tell people about the quality and advantage of that product. Yes I agree with your points. Very truly said. Informative and helpful post. This is the first time I browsed a blog offering tips just to clean-up an online reputation that is really bad. Just as what you have pointed out, maintaining a good presence online takes some time to build. And this makes the cleanup process essential and very beneficial for those involved in online marketing. This is definitely something that more and more people are having to do these days. Online reputations can be made and broken in moments and so when disaster strikes quick action is needed. These tips are great but I would add \’owning up to any wrongdoing\’ to the list as this is the first step to getting things back on track. This is really interesting, I have been searching for this topic for a few days and I finally found what I was looking for. This really helps me a lot and your presentation is beautiful so that everyone can understand it easily.Thanks for sharing. Ya, I absolutely agree with you. It\’s necessary to make an online reputation impressive. Thanks for sharing this informative post. All the points you have mentioned are amazing and very helpful. Great post. Loved reading it. Luckily nothing came up with my search for \”Tips Of Tech Scam\”.